Сегодня здравоохранение стоит на пороге больших перемен. Активное внедрение достижений геномики, протеомики, метаболомики и биоинформатики в практическую деятельность существенно расширило и продолжит расширять наше представление о патологических процессах, происходящих на уровне биоструктур. Этот прогресс в скором времени даст клиницисту возможность фокусировать внимание на доклиническом этапе заболевания, т.е. на самых ранних стадиях развития патологии. Основными звеньями работы с пациентом должны стать предикция риска заболевания, доклиническая диагностика с определением стадии и как можно более раннее таргетное фармакотерапевтическое вмешательство с целью превенции развития заболевания или его перехода в более тяжелую стадию. Эти принципы легли в основу принципиально новой стратегии «трех П»: предиктивной, превентивной и персонифицированной медицины. 1. Ray R. The future of medicine. Am. J. Med. 2012; 125 (3): 236–239. 2. Jones T, Price P. Development and experimental medicine applications of PET in oncology: a historical perspective. Lancet Oncol. 2012 Mar;13(3); 116–125. 3. Patel N.R., McPhail M.J., Shariff M.I., Keun H.C., Taylor-Robinson S.D. Biofluid metabonomics using (1)H NMR spectroscopy: the road to biomarker discovery in gastroenterology and hepatology. Exp. Rev. Gastroenterol. Hepatol. 2012 Apr;6(2); 239–251. 4. Henderson J. Health economics and Policy. Cincinnati, Ohio: South-Western College publishing. 1999. P. 1–30, 290–321, 378–414. 6. Tran B., Dancey J.E., Kamel-Reid S., McPherson J.D., Bedard P.L., Brown A.M., Zhang T., Shaw P., Onetto N., Stein L., Hudson T.J., Neel B.G., Siu L.L. Cancer genomics: technology, discovery, and translation. J. Clin. Oncol. 2012; 30 (6): 647–660. 7. Hagmann H., Thadhani R., Benzing T., Karumanchi S.A., Stepan H. The promise of angiogenic markers for the early diagnosis and prediction of preeclampsia. Clin. Chem. 2012; 58 (5): 837–845. 8. Moons K.G., Kengne A.P., Woodward M., Royston P., Vergouwe Y., Altman D.G., Grobbee D.E. Risk prediction models: I. Development, internal validation, and assessing the incremental value of a new (bio)marker. Heart. 2012; 98 (9): 683–690. 9. Moons K.G., Kengne A.P., Grobbee D.E., Royston P., Vergouwe Y., Altman D.G., Woodward M. Risk prediction models: II. External validation, model updating, and impact assessment. Heart. 2012; 98 (9): 691–698. 10. Saubermann A.J., Lagasse R.S. Prediction of rate and severity of adverse perioperative outcomes: «normal accidents» revisited. Mt. Sinai J. Med. 2012; 79 (1): 46–55. doi: 10.1002/msj.21295. 11. Farra N., Manickaraj A.K., Ellis J., Mital S. Personalized medicine in the genomics era: highlights from an international symposium on childhood heart disease. Future Cardiol. 2012; 8 (2): 157–160. 12. Suchkov S.V., Martynov L.A,, Vinokurov I.A., Kostyushe D.S., Andreeva A.A., Gadzhieva S.I., Gnatenko D.A., Shonfild I., Lopukhin Yu.M., Notkins A., Pal'tsev M.A. On the prospects of preclinical diagnosis within the objectives of preventive and preventive and predictive medicine. Efferentnaya i fiziko-khimicheskaya meditsina – Efferent and physico-chemical medicine. 2010; 63–74. 13. Maeng J.H., Lee B.C., Ko Y.J., Cho W., Ahn Y., Cho N.G., Lee S.H., Hwang S.Y. A novel microfluidic biosensor based on an electrical detection system for alpha-fetoprotein. Biosens Bioelectron. 2008; 23 (9): 1319–1325. Epub 2007 Dec 5. 14. Stewart S.E., Yu D., Scharf J.M., Neale B.M., Fagerness J.A., Mathews C.A., Arnold P.D., Evans P.D., Gamazon E.R., Osiecki L., McGrath L., Haddad S., Crane J., Hezel D., Illman C., Mayerfeld C., Konkashbaev A., Liu C., Pluzhnikov A., Tikhomirov A., Edlund C.K., Rauch S.L., Moessner R., Falkai P., Maier W., Ruhrmann S., Grabe H.J., Lennertz L., Wagner M., Bellodi L., Cavallini M.C., Richter M.A., Cook E.H. Jr., Kennedy J.L., Rosenberg D., Stein D.J., Hemmings S.M., Lochner C., Azzam A., Chavira D.A., Fournier E., Garrido H., Sheppard B., Umaña P., Murphy D.L., Wendland J.R., Veenstra-Vanderweele J., Denys D., Blom R., Deforce D., Van Nieuwerburgh F., Westenberg H.G., Walitza S., Egberts K., Renner T., Miguel E.C., Cappi C., Hounie A.G., Conceição do Rosário M., Sampaio A.S., Vallada H., Nicolini H., Lanzagorta N., Camarena B., Delorme R., Leboyer M., Pato C.N., Pato M.T., Voyiaziakis E., Heutink P., Cath D.C., Posthuma D., Smit J.H., Samuels J., Bienvenu O.J., Cullen B., Fyer A.J., Grados M.A., Greenberg B.D., McCracken J.T., Riddle M.A., Wang Y., Coric V., Leckman J.F., Bloch M., Pittenger C., Eapen V., Black D.W., Ophoff R.A., Strengman E., Cusi D., Turiel M., Frau F., Macciardi F., Gibbs J.R., Cookson M.R., Singleton A., Hardy J., Crenshaw A.T., Parkin M.A., Mirel D.B., Conti D.V., Purcell S., Nestadt G., Hanna G.L., Jenike M.A., Knowles J.A., Cox N., Pauls D.L. Genome-wide association study of obsessive-compulsive disorder. Mol. Psychiatry. 2012; doi: 10.1038/mp.2012.85. 15. Pal'tsev M.A., Cherepakhina N.E., Shoenfeld Y., Shogenov Z.S., Tabaksoeva Zh.A., Agirov M.M., Suchkov S.V. Post-infection clinico-immunologic syndrome: fundamentals of etiopathogenesis and immunogenodiagnostic strategy Vestn. Ross. Akad. Med. Nauk – Annals of Academy of Medical Sciences. 2009; 10: 25–31. 18. Kelloff G.J., Sigman C.C. Cancer biomarkers: selecting the right drug for the right patient. Nat. Rev. Drug Discov. 2012; 11 (3): 201–214. 19. Robinton D.A., Daley G.Q. The promise of induced pluripotent stem cells in research and therapy. Nature. 2012; 481 (7381): 295–305. 20. 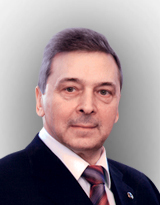 Sheiman I., Shishkin S. New challenges and new objectives problems of economic transition. Russian Health Care. 2010; 52 (12): 4–49. 21. Pozgar, George D. Legal aspects of health care administration. 10th ed. NY, 2007. Chapter 21.